Driving and cell phone use is a dangerous combination. According to the National Safety Council, talking on a cell phone while driving makes a person four times more likely to crash; texting while driving is even riskier as it increases the risk by 23 times. Drivers who use their cell phone while driving may be held legally liable for car accidents caused by their distracted driving. At Shore, McKinley & Conger, LLP, we have experience handling cases involving auto accidents and cell phones in and around Stockton, CA and Sacramento, CA. Our car accident attorneys help guide clients through the process of filing an injury claim. 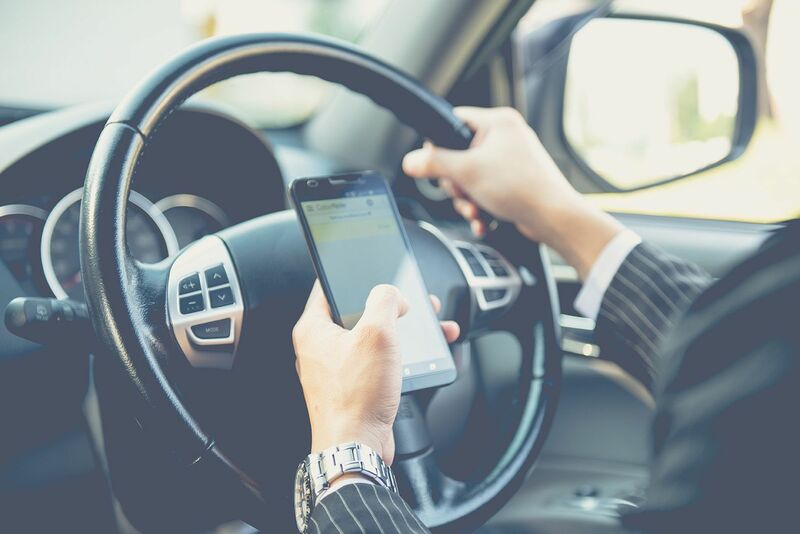 If you have been injured in a car accident caused by a distracted driver, contact our legal team today to learn more about your legal options. Cell phone use while driving is so dangerous that many states have passed legislation to prohibit the use of cell phones while driving. One of the reasons cell phone use while driving is so dangerous is that it distracts drivers from focusing on the road. Even with a hands-free device, talking on a cell phone while driving may be enough of a distraction to cause drivers to miss seeing traffic signals or not brake in time to avoid an accident. Texting is even more dangerous because drivers who read or send texts while driving must take their eyes off of the road. According to the National Highway Traffic Safety Administration, taking your eyes off the road for as little as five seconds while driving 55 miles per hour would be enough time to drive the distance of a football field. Imagine traveling the length of a football field while blindfolded. That's essentially what's happening when you take your eyes off the road to look at your cell phone. It's dangerous to you and the other people you share the road with. How Do Cell Phones Cause Careless Driving? Is There a Safe Way to Use a Cell Phone While Driving? No, there really isn't a safe way to use your cell phone while driving. Not even using a hands-free device can truly help reduce distraction. Talking on a cell phone or texting take a driver's focus away from the road, increasing the risk of missing traffic signals, braking late, or not seeing other hazards. When it comes to driving and cell phone use, the most responsible thing to do is pull off the road to a safe location to complete your conversation or check and send texts. If you have been injured in a car accident caused by a distracted driver, there may be grounds for a personal injury lawsuit. To learn more about your legal rights, please contact the accident attorneys of Shore, McKinley & Conger, LLP.